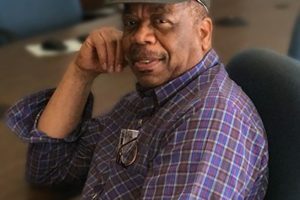 James Harris, the company’s most tenured employee, is a warm, soft-spoken man who was open and reflective on his early days at the Goldsboro facility, although also taken aback at the realization that over 50 years have passed since this chapter of his life began. 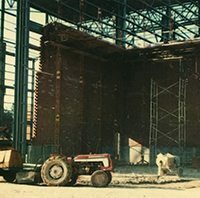 James has actually worked for SPX Transformer Solutions longer than the current Goldsboro plant has been in operation! 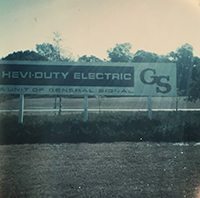 James’ first job for what was then Hevi-Duty was as a stacker in the Core & Coil Department, starting out at the James Street location in Goldsboro as the US Highway 117 South facility was being built. He currently works in the Shipping Department, making sure transformers are, as he calls it, “Showroom Ready” before delivery to the customers. Although James struggled to remember specifics, he was delighted to share some personal thoughts while offering words of wisdom for the generation of workers that follows him. His face lit up as he fondly recalled more than 50 years of heartfelt memories. James also reflected on some major personal transitions over the last 50 years. “It’s only me in the house now. The kids have grown up and gone out on their own, my wife has since passed. So, this company is like my second family.” He credits the company for not only giving him a place where he feels at home, but for its role in allowing him to provide a good life for his family, including putting his children through college. 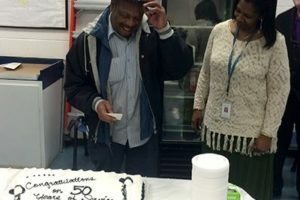 Throughout the changes in ownership, company names and advancements in technology, James Harris remains the same hard-working team member he was on December 7, 1966, when he walked through the doors for the first time. Thanks, James, for all your contributions – in the past and those yet to come!